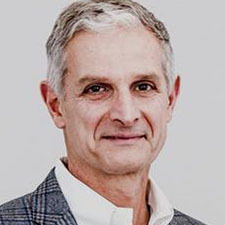 Nicholas Augustinos is a leader in analytics and care delivery innovation, leading the vision, strategic business development, and customer and investor relations at Aver. He has more than 30 years of managerial, consulting, and business development experience in the private and public health care sectors. Most recently, he served as senior vice president of health information services and strategy for Cardinal Health, where he led investments and acquisitions in information services and key strategic initiatives for the company. Prior to Cardinal Health, Augustinos held leadership roles with a variety of tech, consulting, and health care organizations, including Cisco Systems, CareScience/Quovadx, Healtheon, Deloitte Consulting, and CliniShare-UniHealth. Augustinos holds an industrial engineering degree from the College of Advanced Education in Athens, Greece, a bachelor’s degree in mechanical engineering from King’s College, University of London, and a master’s degree in business administration from the University of Michigan. In addition to the California Health Care Foundation, he also serves on the board of directors for DexCom and formerly served on the board of The SCAN Foundation.